"The Willowbank is Largs nicest, friendliest hotel and has room enough for you to enjoy a dinner dance or our great functions in spacious comfort with your own private table." 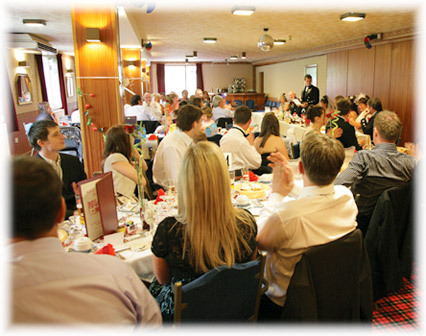 Whatever occasion it is that you want to celebrate, we have the answer here at the Willowbank Hotel. From birthdays to anniversaries and christenings or if you just want to throw a party, we can cater for up to 150 guests and at any budget and we can be totally flexible to your needs. Please contact us and we will be glad to talk your plans through with you. Alternatively if you need to organise a funeral tea we can arrange a suitable package and our friendly and efficient staff will ensure that everything runs smoothly.